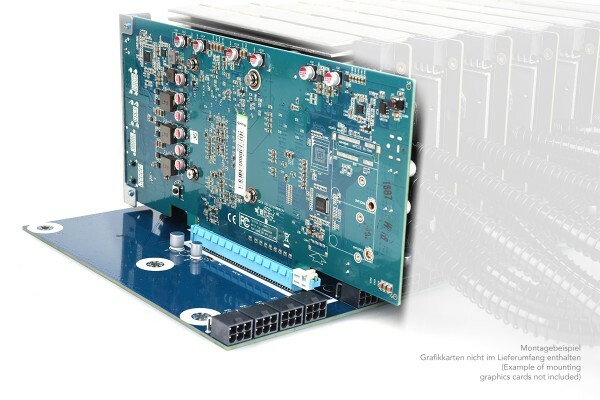 Excellent mining main board which can be equipped with up to 8 graphics cards due to the included riser card. The board includes a mining CPU controller, 4GB DDR-4 momory and the dedicated USB, HDMI and LAN outputs. The main board works stable and highly efficient. It is compatible with the mining graphics card Number 1016559. Though it has already a liquid cooler pre assembled it perfectly fits along each other.